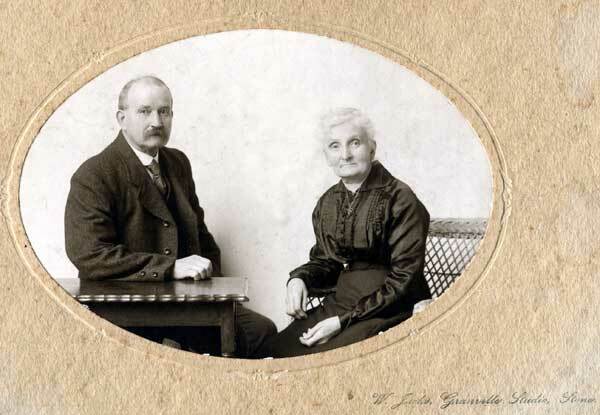 My great grandfather, Arthur Smith, was the son of Thomas and Jane Smith of of Stone, Staffordshire, where he was born on 13 November 1860. His branch of the Smith family had a long connection with the town, which lies midway between Stafford and Stoke-on-Trent. Arthur began work at the age of just ten closing the uppers on men’s shoes for a Mr G Allen. He was paid 2s 6d a week (12.5p). Boot and shoe making was a major industry in Stone and continued to be well into the second half of the twentieth century with the Lotus Factory being an important employer in the town. Arthur went on to work with his father, Thomas to produce hand made shoes for Edwin Bostock, examples of which were used as exhibition pieces as far away as Australia. Later he became foreman of a mechanised shoe making workshop and in 1882, married Lizzie Gadsby, who was employed there. Arthur was an agent for the Prudential Assurance Company for over twenty years, until ill health forced his retirement in 1924. His shoemaking tools including lasts, hammers and moulds were laid out when I visited Stone as a small child in the 1940’s and it was a special, if rather scary treat to be allowed to climb up the steep open wooden stairway to the bare unheated room above the kitchen to see his disused workshop and what I now realise was a piece of industrial history. Visits to Stone were a regular part of the lives of my brother and myself up to 1949 when Arthur died on the day before his eighty ninth birthday and the house where he and Lizzie had lived for most of their married life was emptied. Arthur and Lizzie were tenents of their little terraced house in Stone, not owners and it had few facilities that would now be considered the norm. There was only one tap in the house, providing cold water in the kitchen. The toilet was an outbuilding in the yard with a large wooden seat. By the nineteen forties, a flushing cistern had been added, but I remember being fascinated by reports that the abandoned dark shed at the bottom of the small garden was the original earth closet. A giant cast iron clothes mangle stood opposite the door from the back yard under the wooden stairway that I referred to above. 7, Victor Street shared its back yard with number 9 next door which was occupied by Lizzie’s brother Fred and his wife Polly. 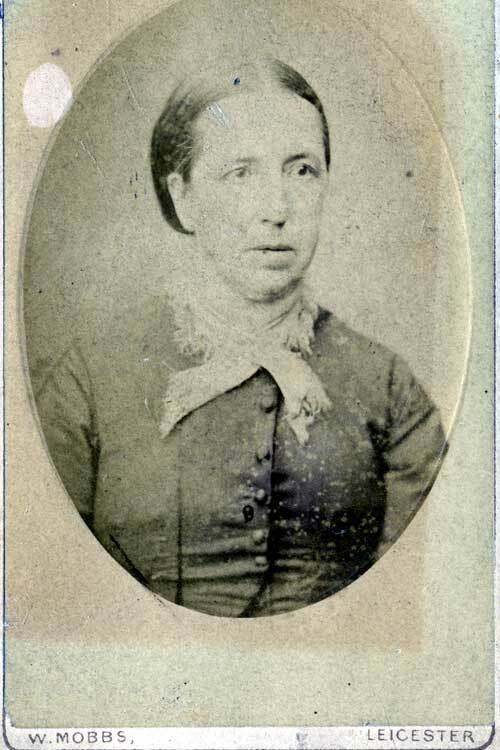 She was wizened and withdrawn by the time I knew her and known to the family as ‘little Aunt Polly’ as opposed to ‘big Aunt Polly’, who was the wife of Albert, another brother. Fred would smile at my tenuous ventures to the bottom of the garden, where he would help me to climb onto the brick wall which had been built by the London Midland and Scottish Railway Company to separate the terrace from the grass lined cutting, which lay some 20 ft below. Express trains bound to and from Manchester would thunder through at regular intervals, belching smoke with a very characteristic sulphurous smell, steam and sparks, which in the summer caused grass fires and the smoke from the tinder dry banks added a sweet scent that spilled in clouds across the rhubarb and vegetables growing in Fred’s lovingly kept garden. My great grandparents’ side of the path was, by this time, sadly overgrown and unproductive. ‘Well done John’ Fred would say with a smile as I returned rather shyly to the house. I was never sure what I had done well, but the praise from this thin kindly old man was sweet. Arthur’s life was, in different aspects, typical of a poor working man but at the same time remarkable. 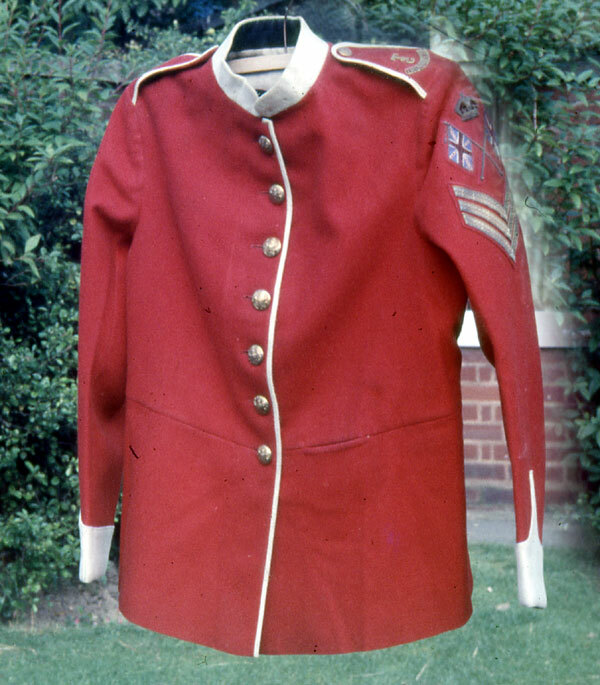 In January 1877 he volunteered to serve with the Stone Company of Volunteers and only missed one parade in thirty nine years – to attend his own wedding in 1882. In 1902 he succeeded his brother Henry as Colour Sergeant and at the outbreak of the First World War he mobilised with the 5th North Staffordshire Regiment. Because of his age (Arthur was then 54) he was not sent to France. However the slaughter of that conflict did not escape him personally. 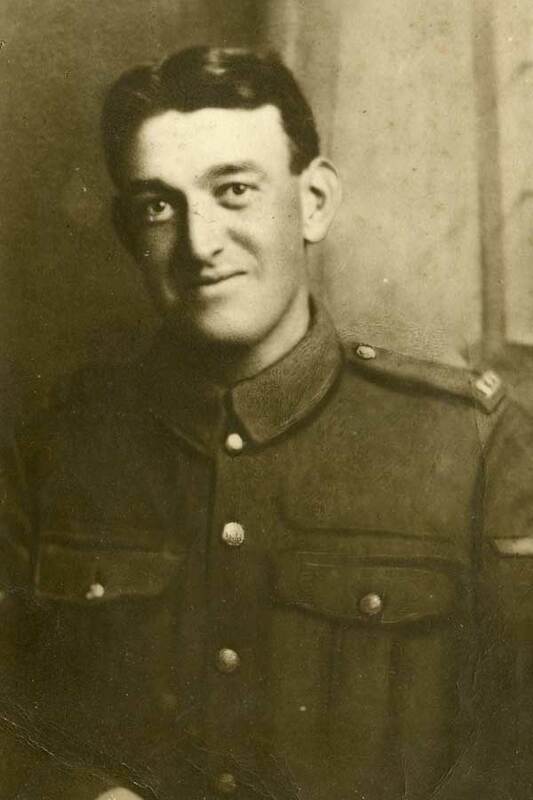 Three sons, Thomas, William and his eldest son George served in the army and sadly, George died in Syria in 1918. 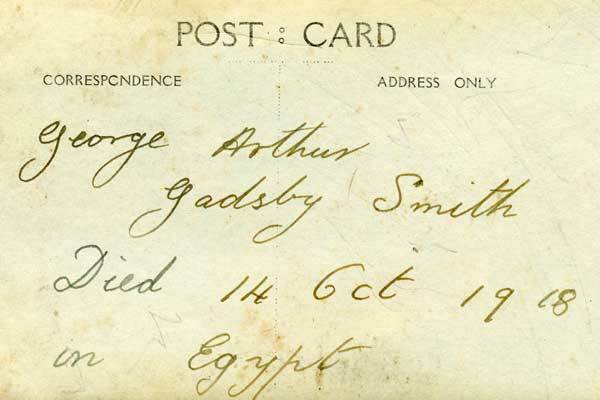 It is perhaps a measure of how remote active service was from the normality of home life that George was believed by his family to have died in Egypt. It was only within the past few years that I found out online that in fact it was Syria. 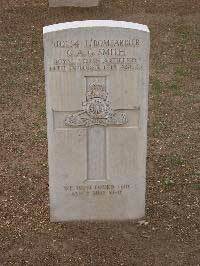 George Arthur Gadsby Smith lies buried an a small British Commonwealth war cemetery in Damascus. 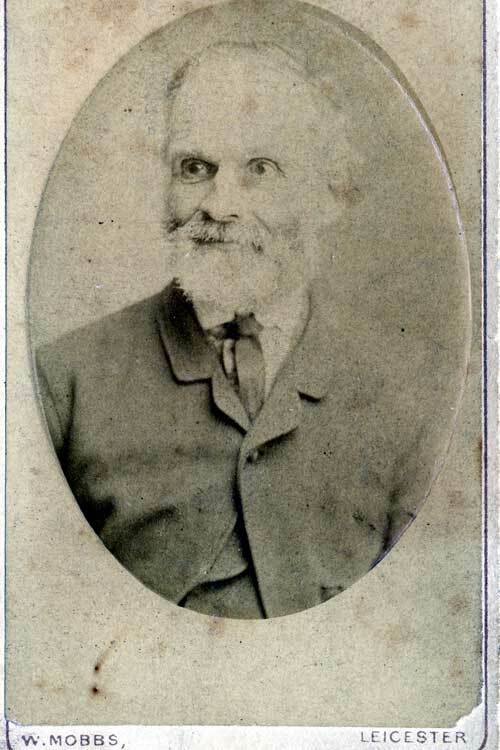 Husband of A.M.Matthew (formerly Smith), of 189, Spadina Avenue, Toronto, Canada. The following is an account of the final months of the British advance on Damascus. George must have been in the thick of this. The article points out that many soldiers died of disease rather than injuries. I know that this was George’s fate and that as a result his name did not appear on the original War Memorial in Stone. It was corrected later and was there a few years ago when I stopped in Stone to look for it. General Allenby finally launched his long-delayed attack on September 19, 1918. The campaign has been called the Battle of Megiddo (which is a transliteration of the Hebrew name of an ancient town known in the west as Armageddon). Again, the British spent a great deal of effort to deceive the Turks as to their actual intended target of operations. This effort was, again, successful and the Turks were taken by surprise when the British attacked Meggido in a sudden storm. The Turkish troops started a full scale retreat, the British bombed the fleeing columns of men from the air and within a week, the Turkish army in Palestine had ceased to exist as a military force. From there it was decided to march off to Damascus. Two separate Allied columns marched towards Damascus. The first approached from Galilee composed of mainly cavalry, both Indian and Australian while the other column travelled along the Hejaz Railway northwards composed of Indian Cavalry and the ad hoc militia following T.E. Lawrence. Australian Light Horse troops marched unopposed into Damascus on October 1, 1918, despite there being some 12,000 Turkish soldiers at Baramke Barracks. Major Olden of the Australian 10th Light Horse Regiment received the Official Surrender of the City at 7 am at the Serai. Later that day, T.E. Lawrence and his ad hoc Arab militia entered Damascus to claim full credit for its capture. The war in Palestine was over but in Syria lasted for a further month. The Turkish government was quite prepared to sacrifice these non-Turkish provinces without surrendering. Indeed, while this battle was raging, the Turks sent an expeditionary force into Russia to enlarge the ethnic Turkish elements of the empire. It was only after the surrender of Bulgaria which put Turkey into a vulnerable position for invasion that the Turkish government compelled to sign an armistice on October 28, 1918 and outright surrendered two days later. 600 years of Ottoman rule over the Middle East had come to an end. The British lost a total of 550,000 casualties: more than 90% of these were not due to battle but instead due to disease, heat and other secondary causes. Total Turkish losses are unknown but almost certainly larger. They lost an entire army in the fighting and the Turks poured a vast number of troops into the front over the three years of combat. The years following the end of the Great War cannot have been pleasant for Arthur and Lizzie. As well the grief from the loss of George, Arthur’s health declined. He was eventually diagnosed as having cancer of the colon. A few years earlier this would have been untreatable and Arthur would almost certainly not have lived to sixty. Pioneering surgery had taken place in the field of colostomy however and Arthur was operated on (I think in London) some time around 1930. This must have been a risky and painful procedure at the time, but happily Arthur survived to reach not only his sixtieth birthday, but very nearly, his ninetieth ! The mechanics of redirecting to bowel outlet to the side of his body were briefly outlined to me as a child. For one thing , Arthur needed privacy to clear out the leather pouch on the side of his body. He did this at regular intervals in the ‘front room’ with it’s leather sofa, net curtains and red leaded front step (the front door opened directly onto the pavement of Victor Street). This room was kept very firmly ‘for best’ by Lizzie, as was the case in many Victorian households and although Victoria had been dead for over forty years by the time I was born, this was very definitely a hang-over from that period. As might be expected in a small house which had been home to seven people with only two rooms upstairs and no bathroom, there was a very distinctive smell about it. The dominant aroma was (perhaps mercifully) that of ‘Old Shag’ pipe tobacco which Arthur smoked right to the end of his life and which permeated the house in curling blue swirls. A very happy memory I have of Arthur Smith is walking with him to the public park only a few yards from the house in Victor Street. He walked with a walking stick and at the age of five, I insisted on having a stick too. As we passed the neatly tended beds of summer flowers, a group of Arthur’s friends – old men with hats, sitting on a park bench nearby, greeted him. Arthur was bedridden for the last year of his life. Lizzie died in 1948, but his daughter, my grandmother, Annie, looked after him lovingly until his death on 12 November 1949.